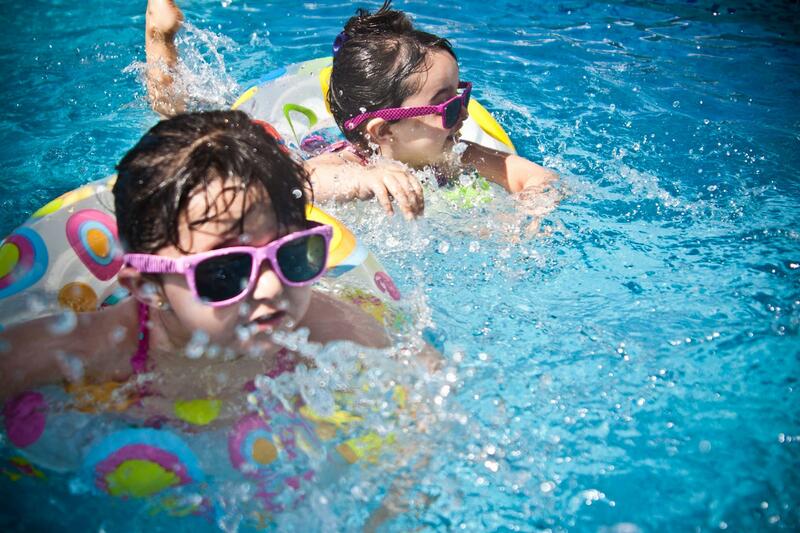 are invited to join in the fun! Fuqua School is excited to be part of the Heart of Virginia NEA Big Read event! Our Readers' Club, English Honor Society, and 11th-12th grade English classes will examine this year’s Big Read book, Burning Bright by Ron Rash. We will continue the discussion with an on-campus colloquium in late April. 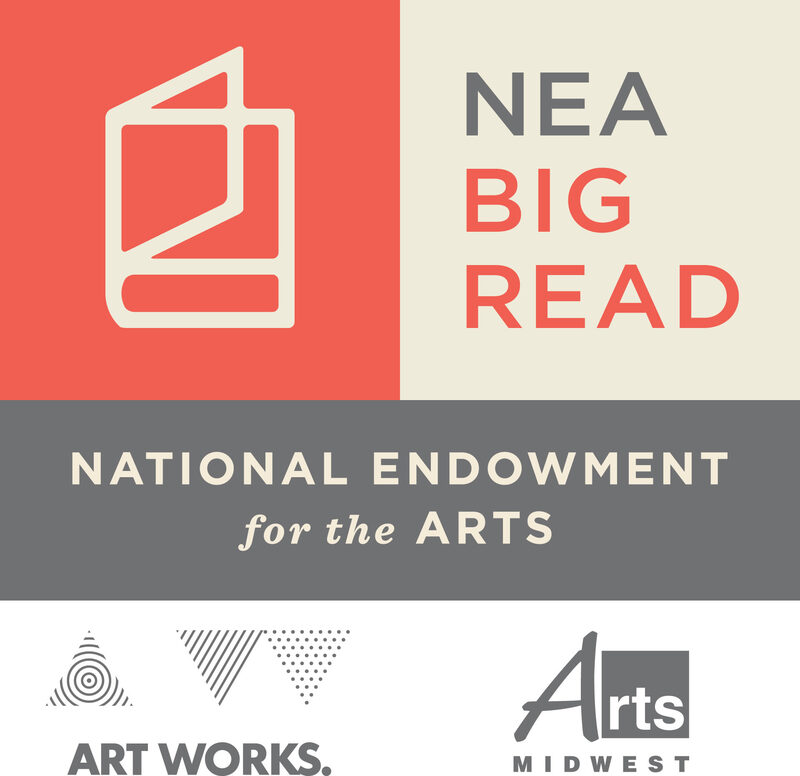 The Big Read event kicks off on Saturday, April 6. If you’re interested in being part of this event, please click here for more information. Please check Rschool for sport team schedules and updates! 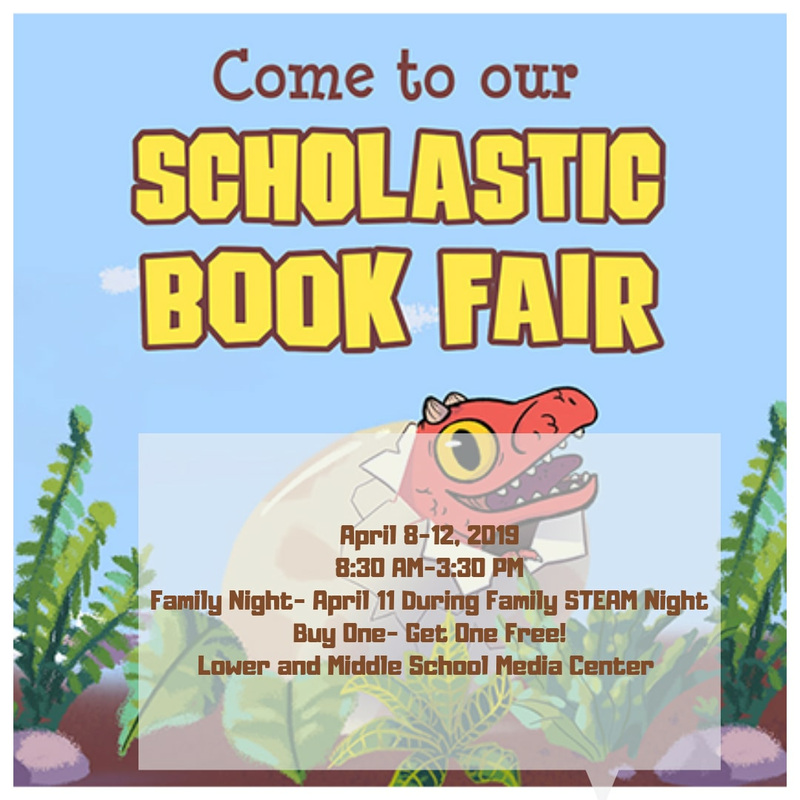 Don't forget registration is still ongoing! 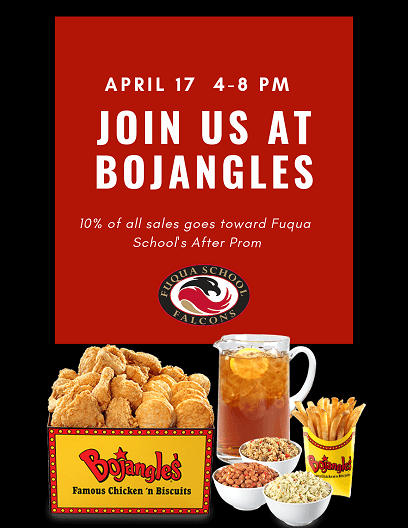 Share every Falcon Flyer with your family and friends. 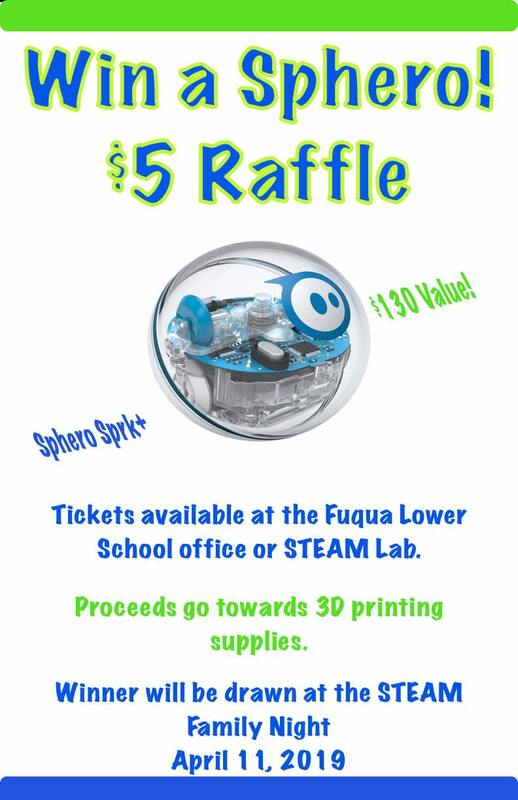 Send their email to FalconFlyer@FuquaSchool.com and they will be added to our Falcon Flyer guest list. 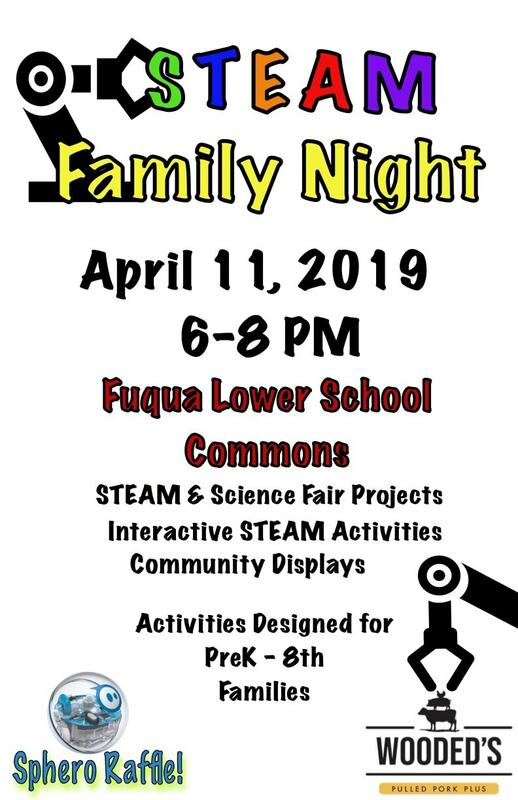 Don't miss a Falcon Flyer...previous editions are available under Fuqua School Publications! 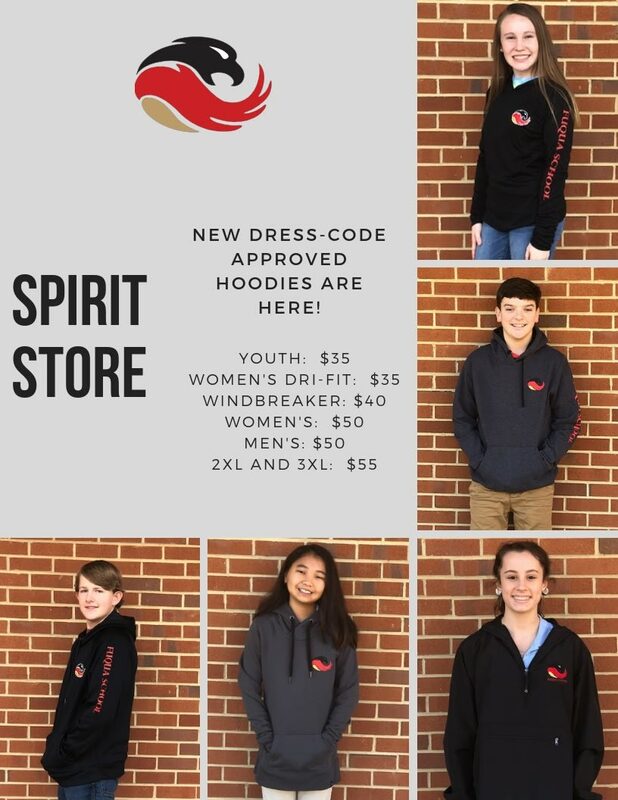 Check out the Falcon Spirit Store online! Request to Use Falcon Logo, Etc. 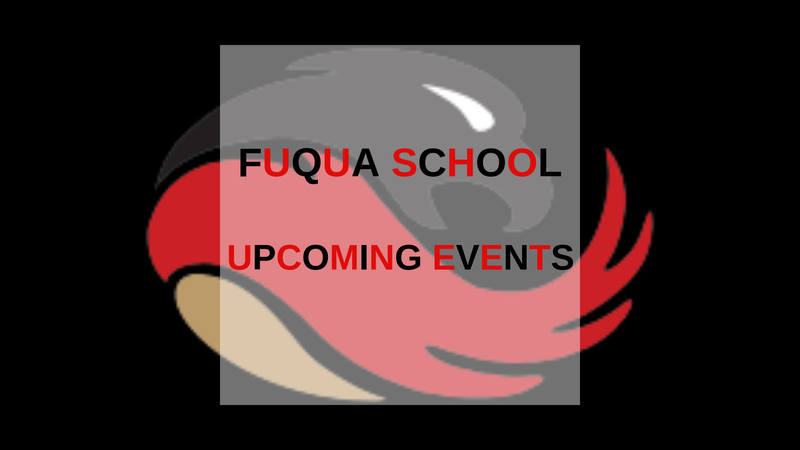 For information on To Use Falcon Logo / Fuqua School, click here. Vendors must have a signed copy of the request to use form before creating any items and must be approved by John Melton. In our last edition of the Falcon Flyer we shared the sad news of Beth Fore’s passing. 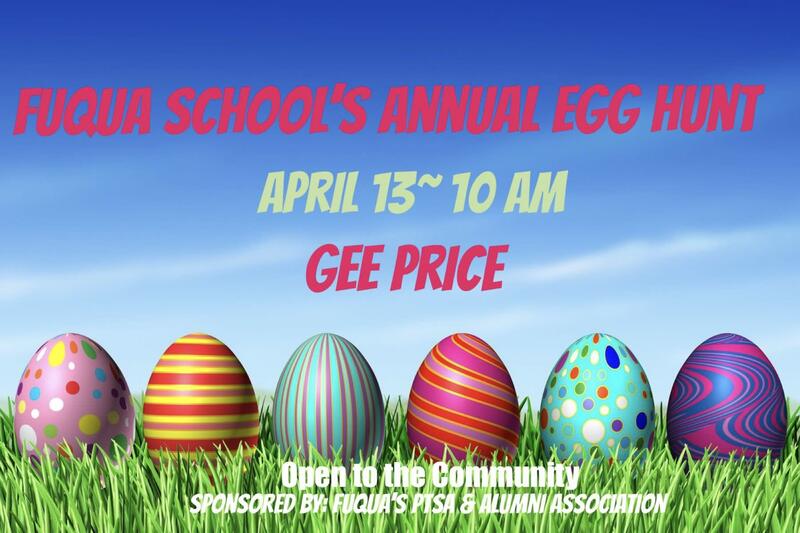 Since that time the school community and school leadership have been discussing and sharing ideas about the most appropriate way to recognize and memorialize her profound influence on so many members of the Prince Edward Academy and Fuqua School communities. 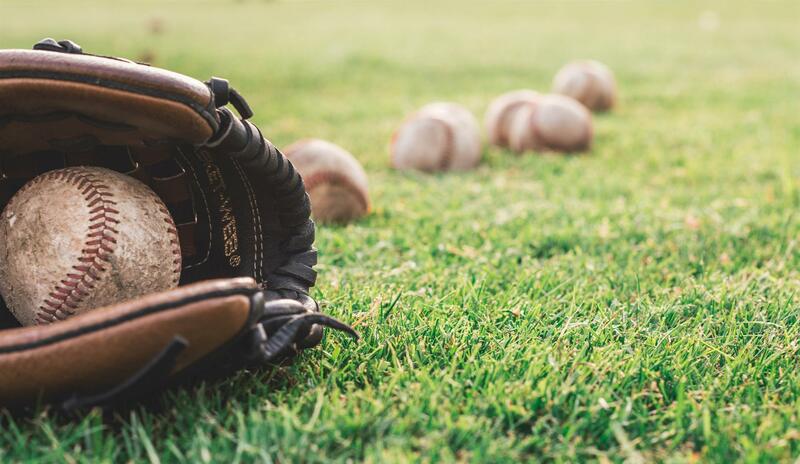 On Thursday, March 21, 2019, the Board of Trustees approved an initiative to renovate and name the softball field in Coach Fore’s memory. They also approved the formation of a committee of alumni and school personnel who will be charged with overseeing the plans and fundraising to support this initiative. Please be on the lookout for more details about this endeavor and for ways you can offer your support. I also want to thank all of those who shared their stories about Coach Fore and their ideas for how the school can honor her legacy. It was heartwarming to witness such an overwhelming show of support and sympathy for a truly dynamic woman. Please follow this link from the Farmville Herald to read Coach Fore’s obituary. This year had its ups and downs, but overall, I believe it was a very successful winter sports season. Our Swim Team won their last two home meets and Varsity Basketball finished the year 16-7 with big wins over Amelia County High School and Buckingham County High School. I was really proud of how hard our Middle School/Junior Varsity Girls Basketball team battled the entire season. I loved the development of both our Middle School and Junior Varsity Boys Basketball teams. I have high expectations for our Spring Sports season. I am looking at the continued growth of our Girls Lacrosse program, as we have over 30 girls playing this season. I am also interested in the development of our Boys Lacrosse program. I am looking forward to seeing how our 4 young golf team members will get acclimated to playing varsity and how they will help our returning core. I am excited and hopeful that both our softball and baseball teams will walk away State Champions! I am beyond thrilled for warm weather and clearer skies to watch our Spring Sports teams this season. 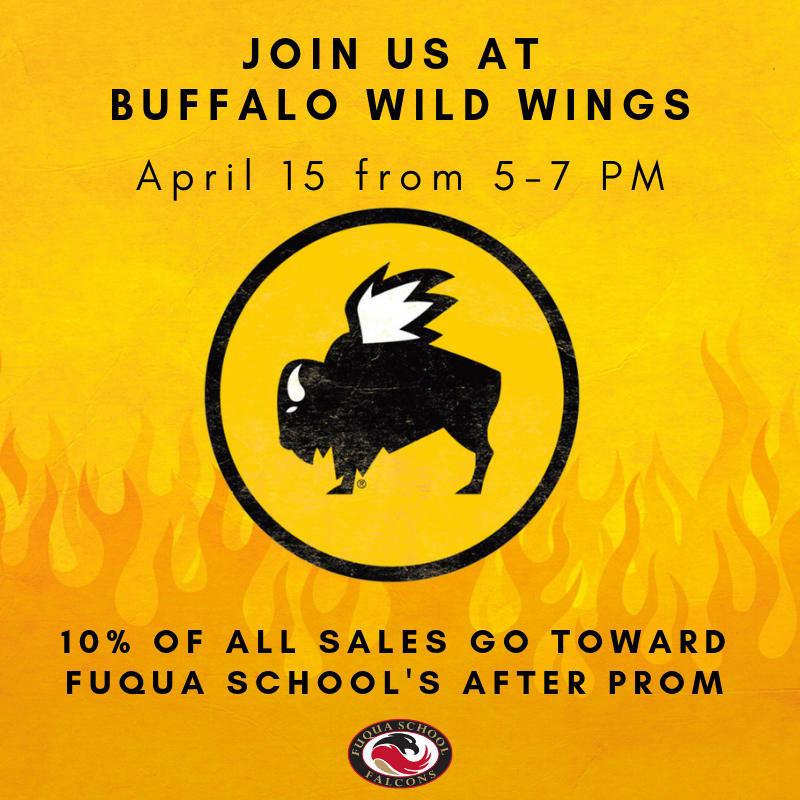 I look forward to seeing everyone at a game and appreciate everyone's support for Fuqua School athletics! Go Red! Go Black! Go Falcons! In the fall of 2011, then PTSA President, Lorrie Watson, suggested our Middle School start a new tradition, The Sixth Grade Tree. This new tradition for middle schoolers began with the first tree being planted in front of Gilmer Gym in the spring of 2012. The Class of 2018 helped to plant the first tree and had the pleasure of watching it grow throughout their middle and high school years. 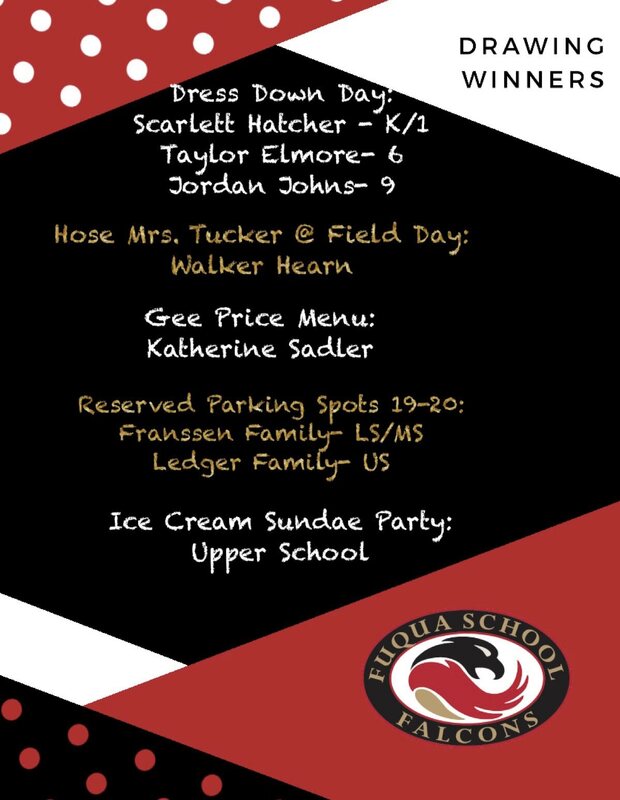 On May 25, 2018 the new Fuqua School graduates took pictures with family and friends alongside their Class Tree. 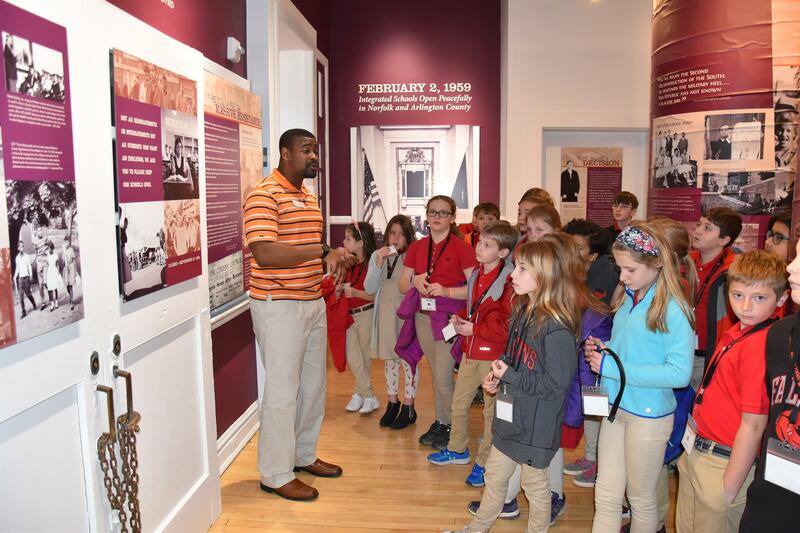 On the first day of spring, the Class of 2025 continued with the tradition of the Class Tree, as have all the classes preceding them since 2011. 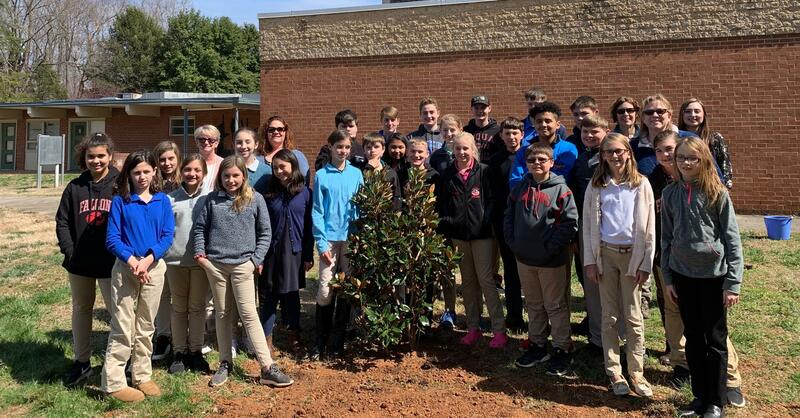 The sixth grade class had the pleasure of planting a Little Gem Magnolia tree on the hill behind Gilmer Gym. Mrs. Atkinson’s Environmental Science class helped place the new tree while all twenty-three sixth graders took turns shoveling the soil. 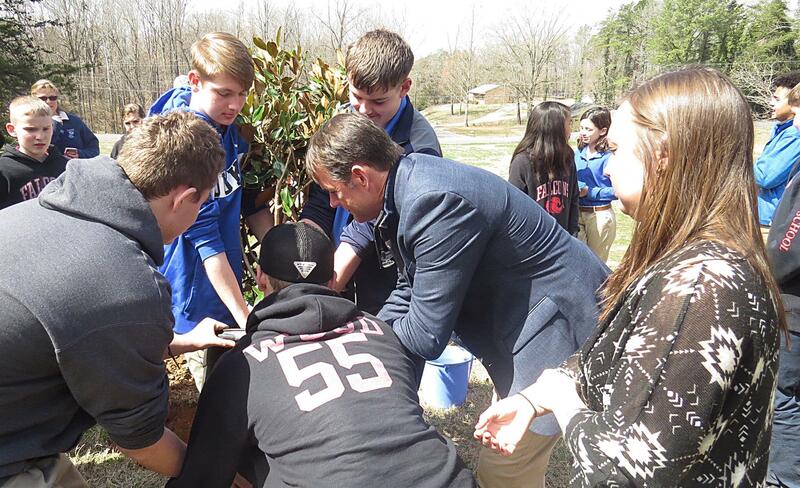 As the students helped their tree lay roots at Fuqua School, the faculty and staff of Fuqua School will do the same for the students in the Class of 2025 and continue to keep this tradition alive. 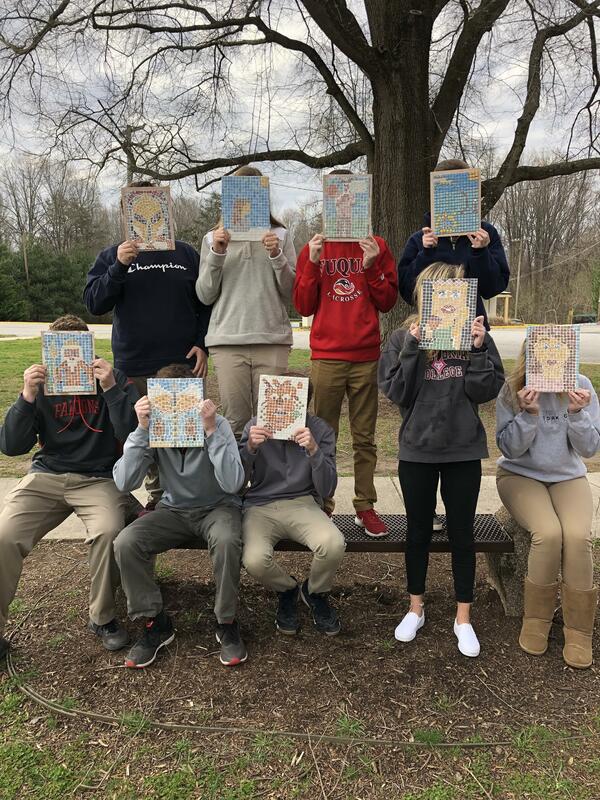 Latin 1 students made mosaics depicting Greek and Roman gods and goddesses as part of their study of Greek and Roman culture. Mosaics are created by using small bits of colored ceramic tile to create an image. This art form was a common way to decorate floors and walls in Roman and Greek houses as well as public buildings. The students also wrote a paper about the god or goddess they chose. Now see if you can guess the student and the god or goddess in each mosaic pictured. A special thanks goes to Mr. Layne for his help with this cross-curricular project between art and Latin! Did you know that students in grades 4-12 can earn merit points? Are you curious as to exactly what a merit point is? 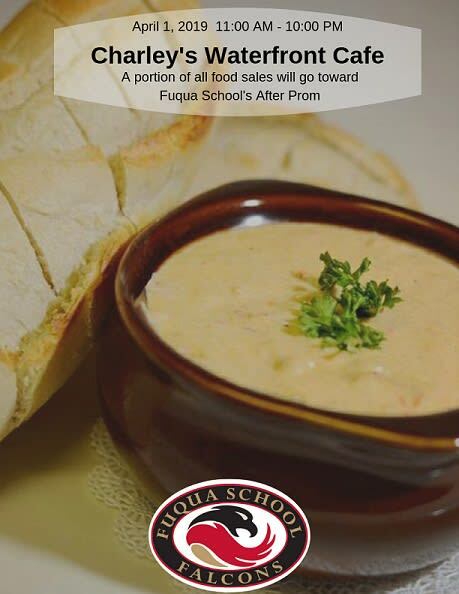 Merit points are positive points earned by students who go above and beyond the expected behavior at Fuqua School. 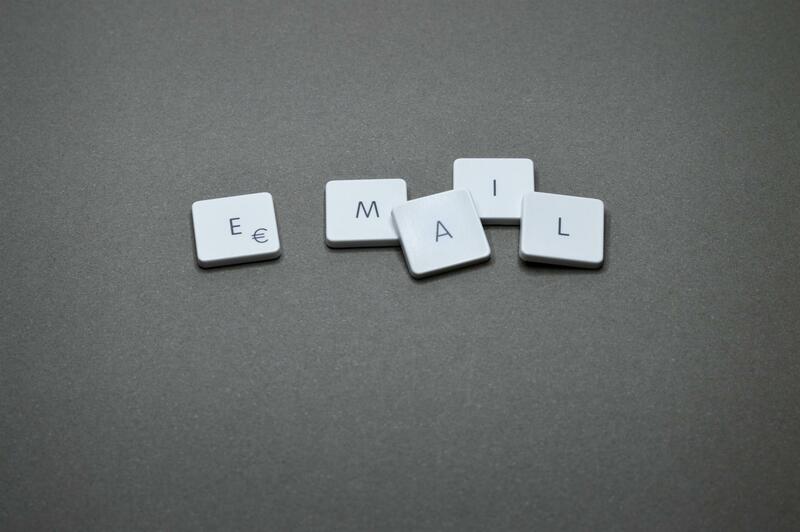 Students who earn merit points in the lower and middle schools are not only recognized with an email home to parents and acknowledgment from faculty and staff, but now are featured on our new monthly Merit Makers’ board. 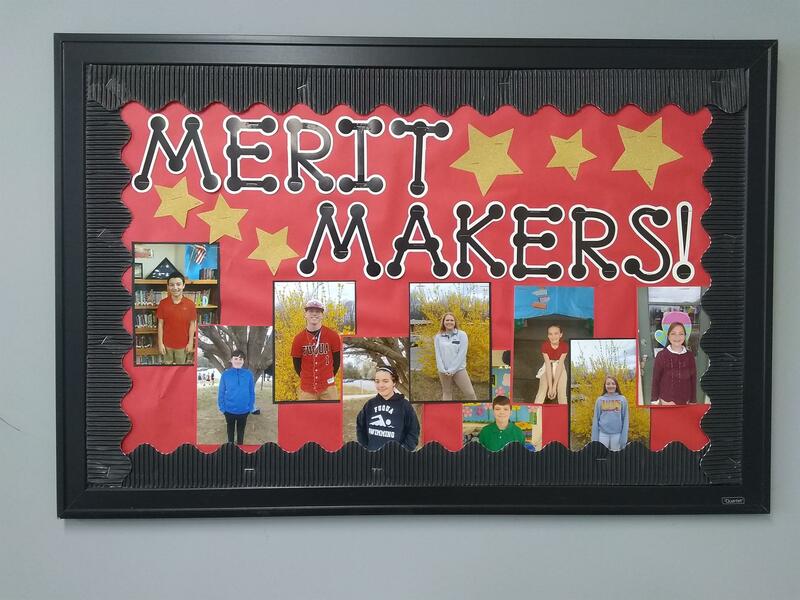 The Merit Makers’ board, located in the lower and middle school office, features all students who have earned merits for the month. Merit Makers for the month of March include: Lars Andrews (grade 5), Carter McCarty (grade 7), Wade Haney (grade 8), Caylen Copley (grade 8), Chloe Smith (grade 8), Joel Layne (grade 5), Mackenzie Hearn (grade 5), Kassidy Knott (grade 8) and Hannah Whaley (grade 6). 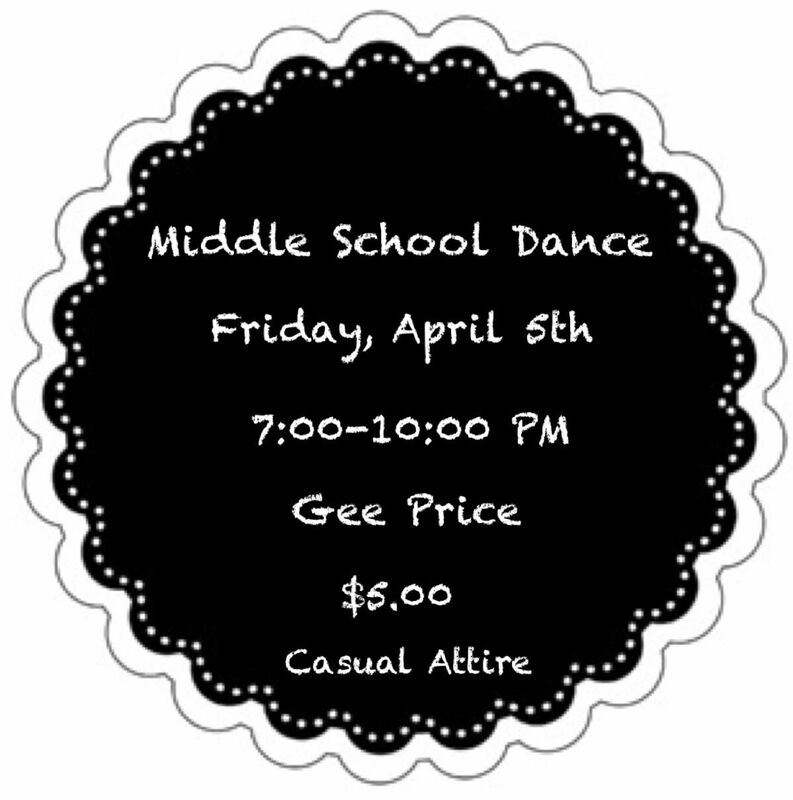 Please swing by and check it out when you have a chance and be sure to congratulate our March Merit Makers! 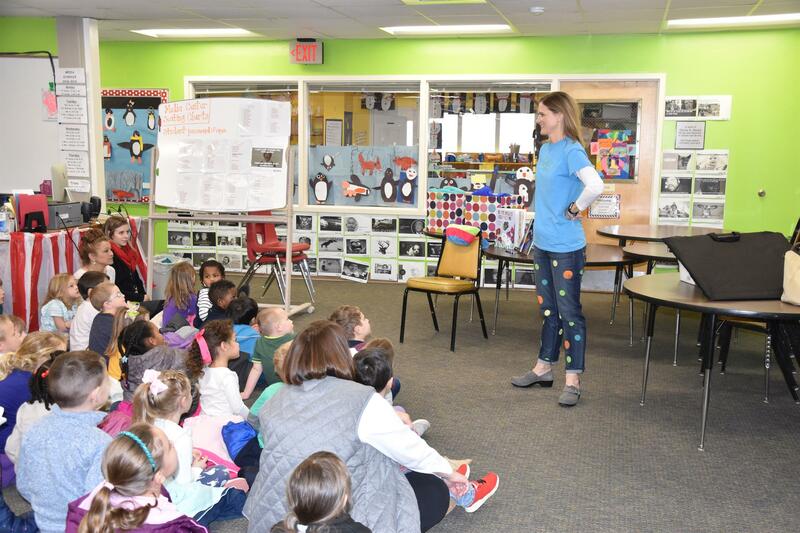 Children’s storyteller and author, Ali Pfautz, The Story Lady, visited Fuqua School students on March 20th. Mrs. Pfautz started with a storytelling presentation for the lower school. Many students got to join in and help tell the stories. For middle and upper school students, Mrs. Pfautz shared information about writing and book publishing. She has three picture books and a book of poetry. Part of each presentation focused on her picture book Butterflies Keep Flying. Mrs. Pfautz wrote the book to raise awareness and money for the “butterfly children” who suffer from a rare skin disease known as EB. 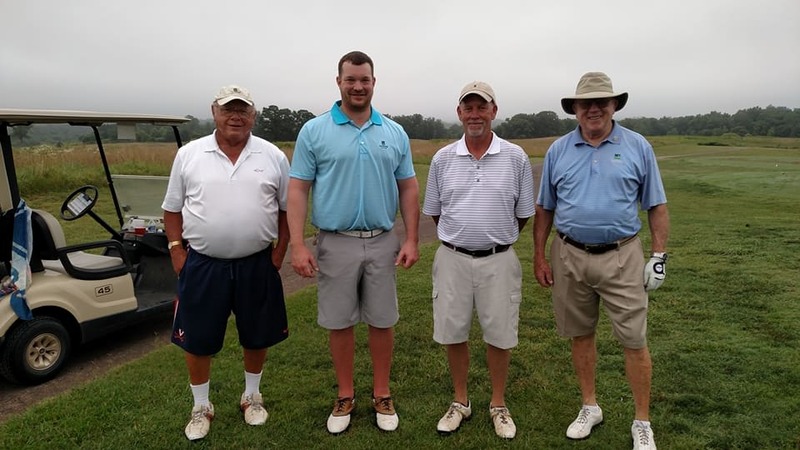 The 3rd annual Sporting Clays Fun Shoot was a great success raising over $3,000 for the school! 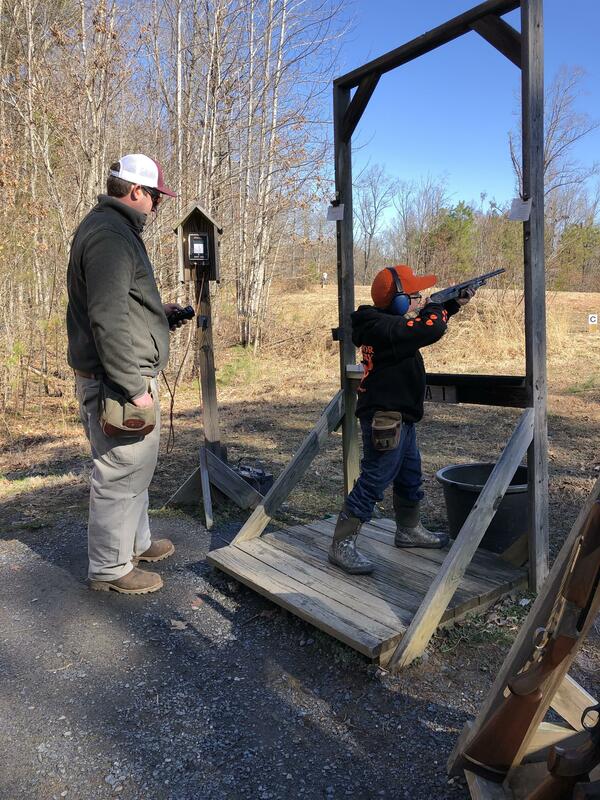 Alumni, parents, grandparents, and current students participated in this year's fun at Central Virginia Sporting Clays in Palmyra. Winner of the first class was alumnus Jeff Atkins, '84; second class Patrick Murphy; third class Howard Melton; and fourth class, 6th grader Isaac Satterfield. 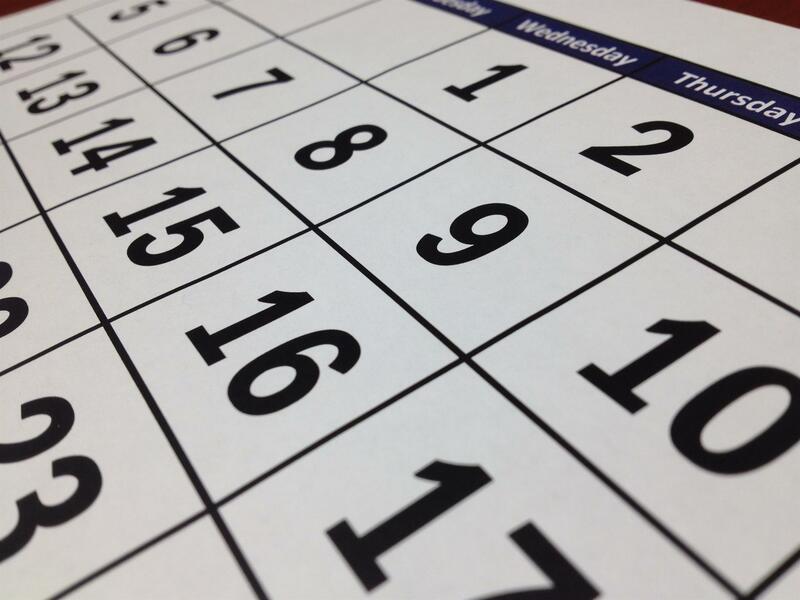 Plans are already in the works for next year's event. 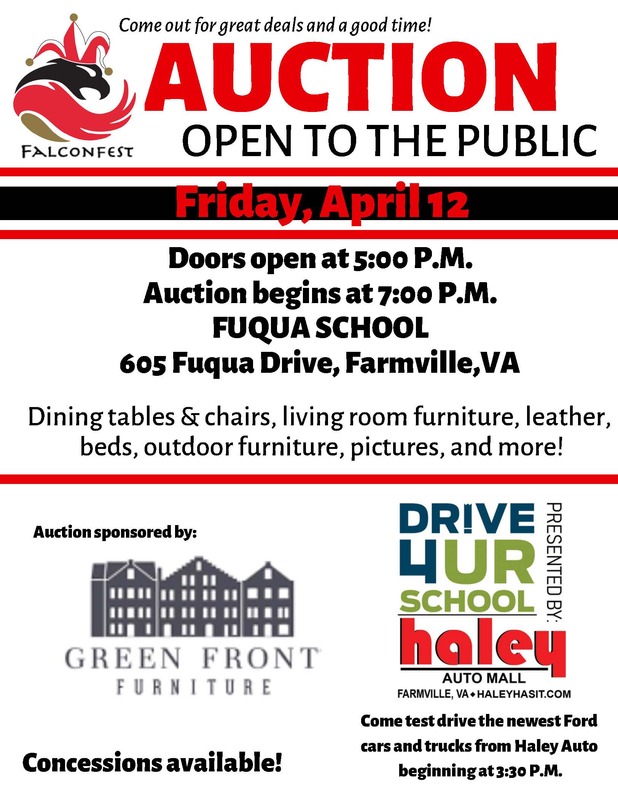 A special thank you to our sponsors: Crewe Tractor, Difficult Creek Logging, Farmville Sporting Goods, New Horizon Bank, Pembelton Forest Products, Sugar Hill Hemp & Tree Farm, and Tucker Timber Products. We appreciate everyone's support of this fun event and look forward to next year. The Fuqua Players have been entertaining audiences for many years. 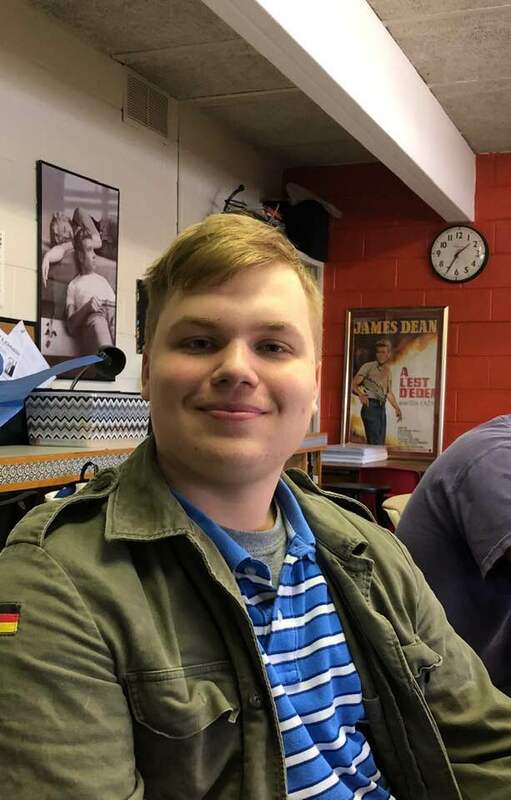 Last month, they performed School Spirit, a one act comedy by playwright, Scott Hann. In it, a character is visited by the ghost of her deceased high-school friend. This year, in particular, was a challenging one due to the fact that most of our cast were freshmen. Overall though, the production of School Spirit was a challenging, but satisfying, experience that tried our abilities as actors. Through perseverance and pushing ourselves beyond our limits, we were able to successfully deliver the performance, and I look forward to the rest of my final year with the players. 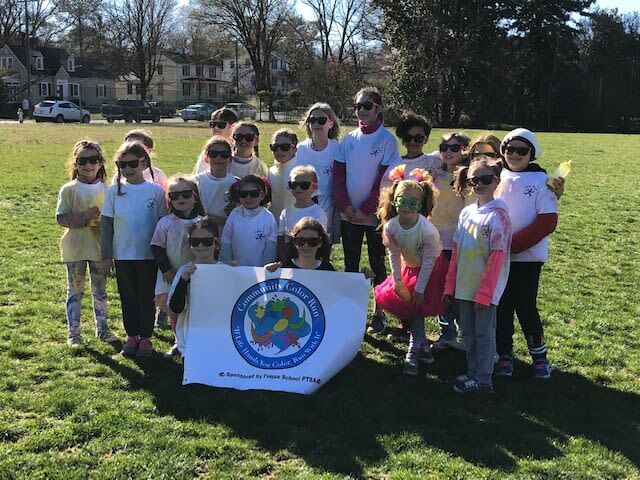 What a great time we had at our first annual Community Color Run! (Yes! We had so much fun, we decided we will do it again next year!) We were joined by a super group of runners, walkers, and rollers to kick off spring on the right foot! Participants voted and we will be making a donation to the March of Dimes on behalf of the event. 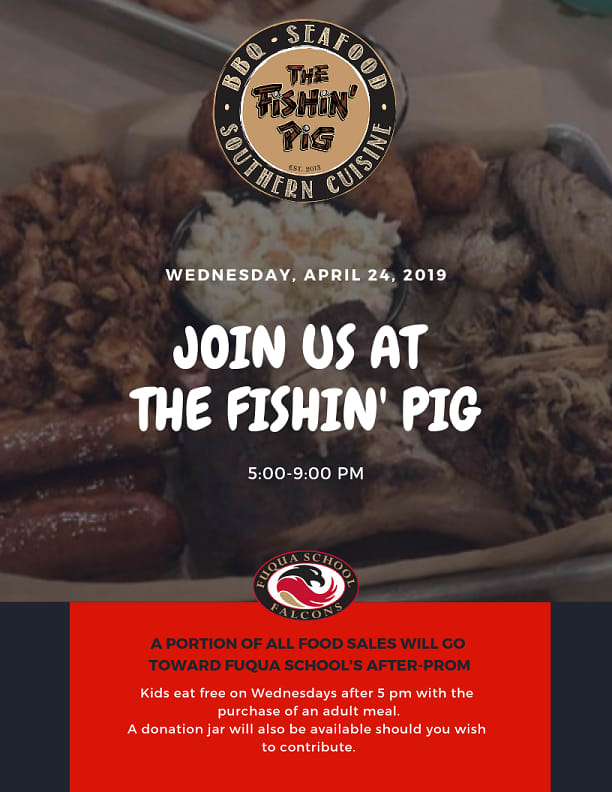 Thanks to our amazing volunteers for braving the early morning frost; Bojangles'; The Fishin' Pig; Prince Edward Rescue Squad; and Mountain Creek Signs & Graphics for helping us make this event a Success! 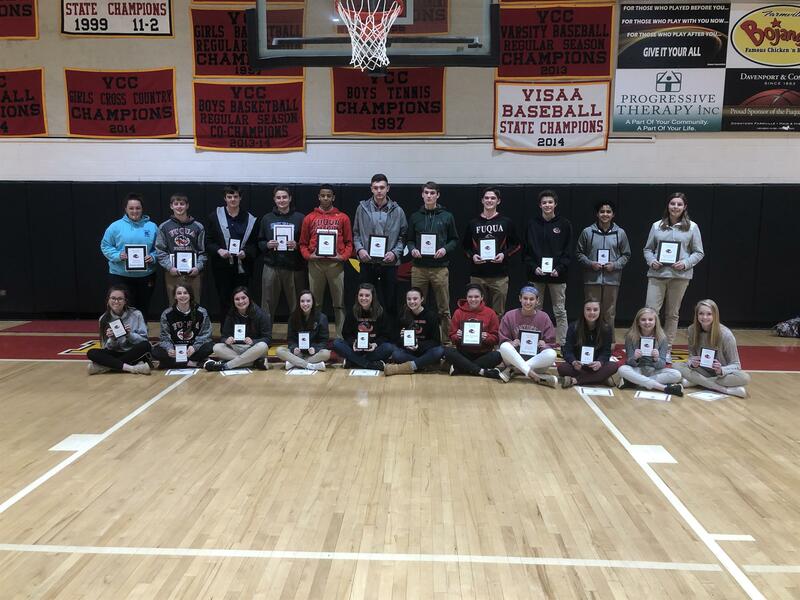 Congratulations to Our Re-Enrollment Winners!